I was in Johannesburg in January, spending time with my nieces and my sister before they went back to Sydney. Sasha, who is 6, is a natural cook and during our time together we made scrambled eggs, omelette and cupcakes. She wanted to make ice cream and as my mom does not have an ice cream churner, I chose to make semifreddo. Semifreddo means semi frozen and for an ice cream, this is the perfect recipe for everyone. In my mind nothing beats a good chocolate ice cream which is why I chose this flavour to make for the semifreddo. You can however add any flavouring you want so let your imagination guide you. What makes this recipe so easy for anyone to make is that there is no custard making process. 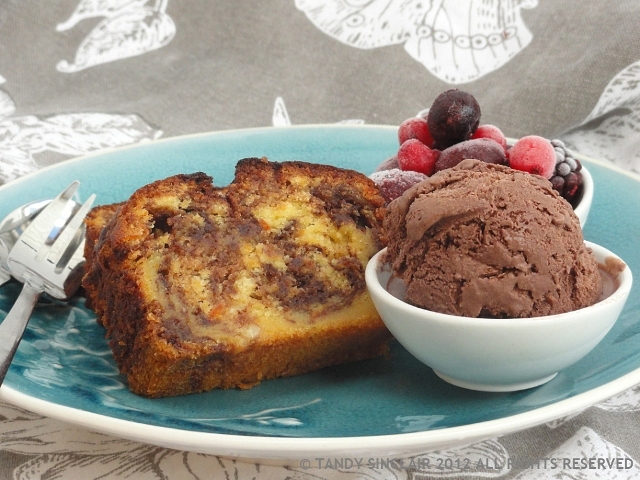 If you don’t have an ice cream churner there is no excuse not to make this semifreddo. do you have an ice cream churner? What a fantastic & amazing tasty recipe!!! MMMMMMM! It is very tasty indeed! Goodness – this looks wonderful! Perfect for a Valentine treat. I don’t have an ice cream maker. Your recipe does sounds really delicious and easy to make. I’ve never made a semifreddo (and I like it! ), I do not have an ice cream maker, so no excuse. I bet that it tastes fantastic with a good, creamy expresso. I do have an ice cream maker but it’s back in Spain so a recipe like this is perfect for right now. And even though there are snow flurries outside my window, as Big Man says…”it’s never too cold for ice cream”! I do have an ice-cream machine but just a cheap one that has to be stored in the freezer. I long for one of those expensive ones with a freezer unit. One day, maybe! Great! An ice cream dessert that doesn’t require an ice cream maker! I will be trying this, thanks Tandy! I’ve always wanted to make semifreddo. Yours sounds wonderful! I’m sure you can come up with a good flavour – say peanut butter? I do, Tandy; and I have used it precisely twice. We haven’t had ice cream weather in Britain in five years…here’s to a long hot Summer this year!